All but two members of the choir – which is best known as the subject of the movie documentary The Song Keepers – performed at the annual awards in Darwin last month. It was the 15th year of the awards, which were previously known as the NT Indigenous Music Awards and showcase and recognise the best Australian Indigenous music talent. 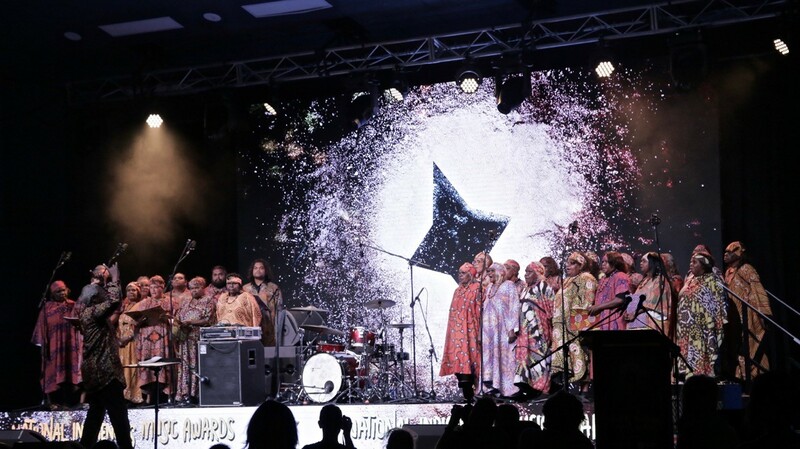 The choir, which has gone from singing in Lutheran churches at Ntaria (Hermannsburg), Utju (Areyonga) and Kaltukatjara (Docker River) in the Northern Territory, to concert halls and churches in Europe and a recent tour to the US, performed five songs to an audience of thousands at the awards ceremony under the stars at Darwin Amphitheatre. Choir member Marion Swift said it was ‘amazing and special’ to win the award. ‘We especially enjoyed singing because it’s the first time we have performed to such a large Indigenous audience’, she said.